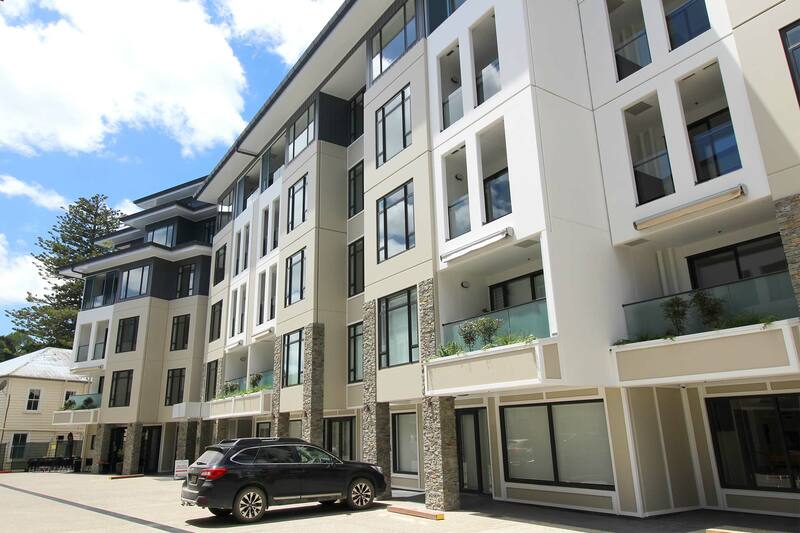 Precast concrete was the go-to product to provide speed of installation, low maintenance and durability for The Oaks retirement village recently completed in Warkworth. However the ground conditions, consisting of colluvial and alluvial soil over shattered rock with an abundance of water, meant that standard precast cladding panels were too heavy for proposed steel-framed structure. The architects specified Litecrete lightweight precast for the 400-odd precast cladding panels and working in conjunction with the structural engineers, realised a deadload reduction of 340 tonnes compared to using standard precast concrete. The 150 mm thick panels for the two 5-storey buildings generally featured simple horizontal and vertical surface rebates and the ground-floor shop-front panels had added character with the use of coffered rebates. The 21 planter boxes attached at the first floor level were also manufactured with Litecrete.